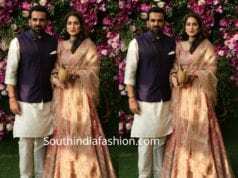 Zaheer Khan and Sagarika Ghatge were snapped at Akash Ambani and Shloka Mehta’s pre engagement bash. 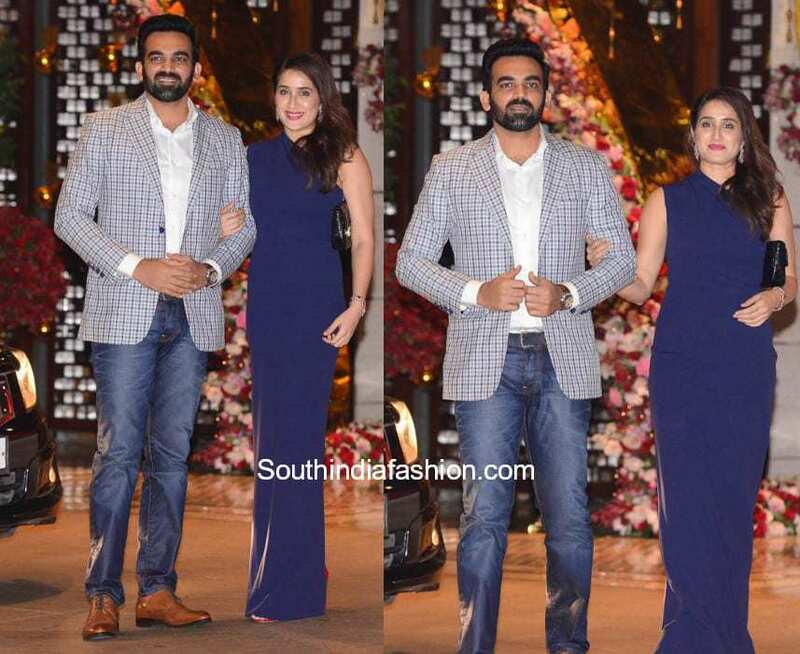 Zaheer Khan was seen in a pair of basics with a checkered blazer and tan shoes. 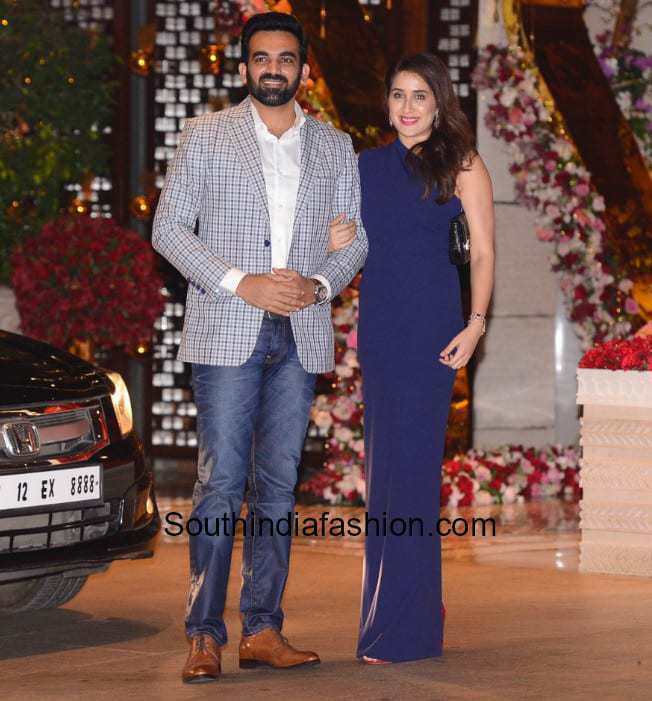 Sagarika Ghatge wore a blue one shoulder gown and carried a black clutch. The couple looked lovely!